Scott Wagner to Campaign with Fox News Host who Said Dr. Christine Blasey Ford Was "Hypnotized" and is a "Fraud." Pennsylvania Republican Gubernatorial Candidate Scott Wagner will be hosting an event next week with Fox News Host Judge Jeannie Pirro. The former senator made the announcement on his Facebook page stating that “Judge Jeanine Pirro will be in York this coming week for a Scott Wagner.” Over the summer, campaign finance reports show that the Senator’s campaign for Governor paid the Fox News host $24,500 for a fundraising event. 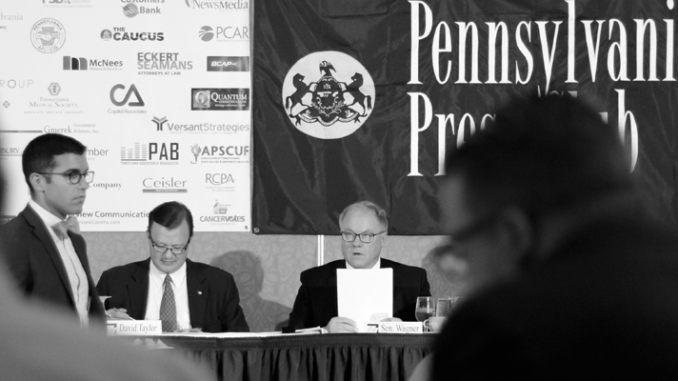 In year’s past, Wagner and Pirro spoke together at fall fundraisers for the Citizens Alliance of Pennsylvania. The video is clearly sympathetic to Kavanaugh, with Wagner saying he was ” shocked and disgusted” by the way the federal appellate judge “and his and his family have been treated,” since Dr. Christine Blasey Ford stepped forward last month with a three-decade-old allegation of sexual assault. This should not be surprising given the fact that Scott Wagner has touted that he is the most “pro-life” candidate running for office time and time again on the campaign trail. Contributor and Assistant Editor for the Raging Chicken Press. Stationed in Harrisburg covering politics in the capitol. You can send tips to sean@rcpress.org or reach me on twitter at @RCPress_Sean!